Hello again! Life has been busy the past couple of months and I haven’t had a chance to post for awhile. Rest assured, I’ve been finishing lots of projects. One thing I made were some portable shopping totes for my son’s teachers (as an end of the year gift). 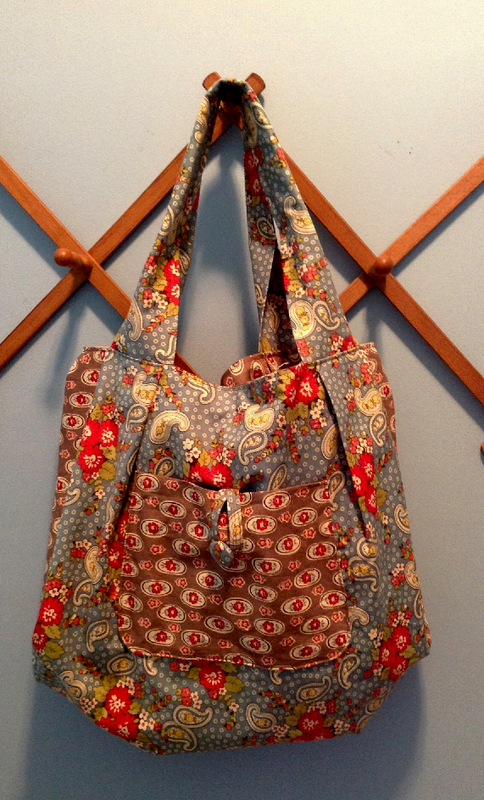 The pattern is from a book called “Purses Bags & Totes” by Moya’s Workshop. 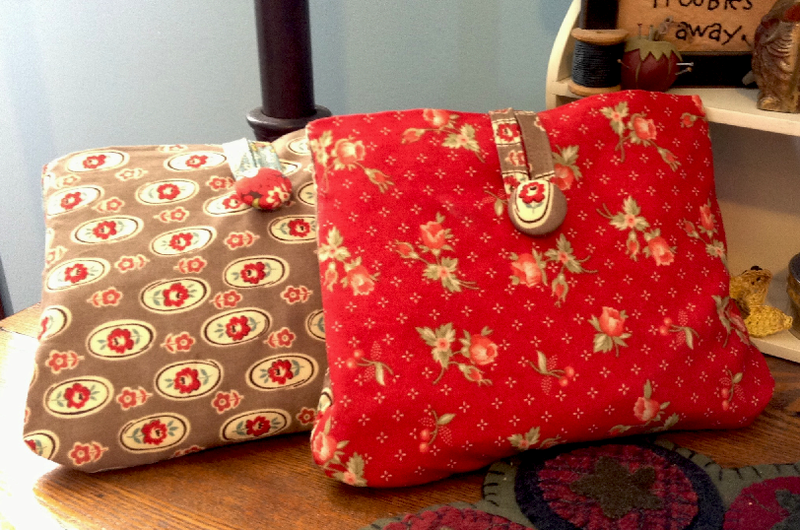 I really liked the pattern since it is a bit fancier than a tote with straight sides and a square pocket. This one has some nice stylistic elements that make it more attractive. I used the same fabrics for each one, but just alternated the placement. I think I will make more of these. They didn’t take too long to make. The most time consuming part was pinning the pleats in the body and sides beacuse you had to do a few measurements to make sure the pleat placement was correct. 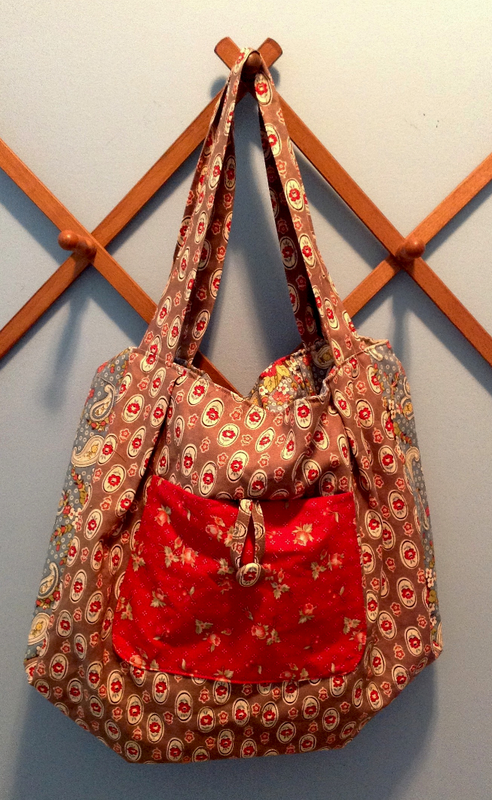 Hi Barbara, the pattern is from a book called “Purses Bags & Totes” by Moya’s Workshop. Thank you so much. Hopefully I can acquire this someday. I am on disability and books are a luxury for me. But I do missionary work in Haiti and would like to make some for some of the ministers wives. As always an excellent job and very inspirational !!! I have been missing your blogs. I like this tote very much.